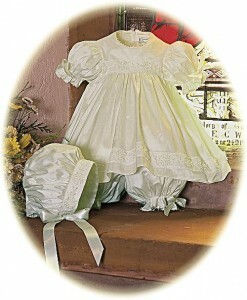 Baby's Silk Christening Dress in ivory pure silk. Perfect for an active toddler. 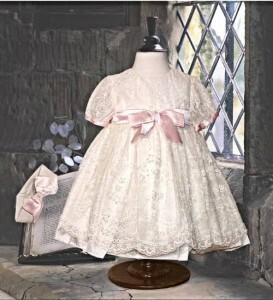 A pretty little sleeveless christening dress in ivory Pure Silk. 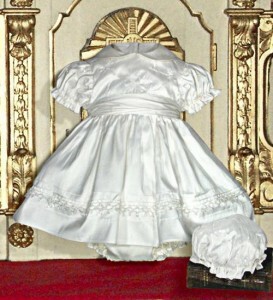 Perfect for a summer christening for an active toddler. 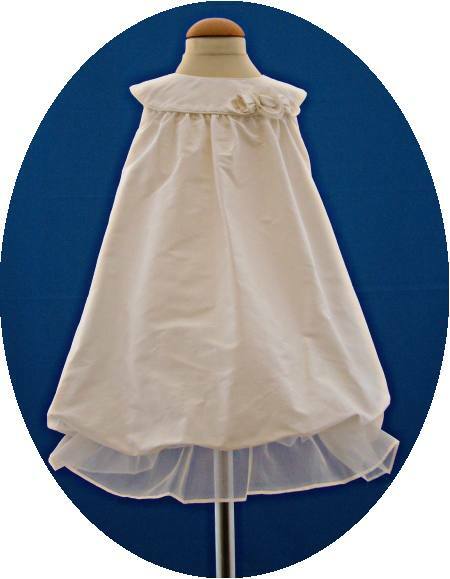 The skirt has a bubble hem trimmed with an organza frill. The sleeveless yoke is trimmed with three silk and organza roses. 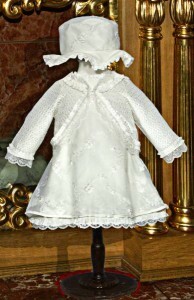 The dress is fully lined and fastens with a zip down the back. From the Pretty Originals Collection.